Along with THC Bomb, Big Bomb is our highest yielding strain. 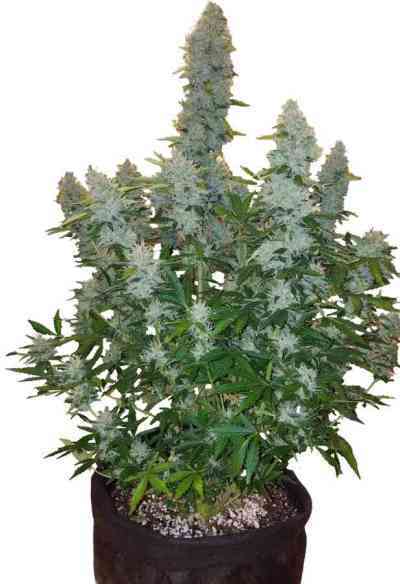 A dominant Big Bud mother was carefully crossed with Bomb #1 to deliver a plant with massive yields and increased levels of THC, making Big Bomb an ideal plant for commercial interests. The addition of Bomb #1 produces very high volume, rock hard buds. Outdoors the plant can produce in excess of 1.5kg (3lb+). Big Bomb is very easy to grow well and has very explosive growth potential. The smoke has a strong skunky smell with a long lasting, all round buzz and a classic skunk flavour.